TRAIL, B.C. – The Trail Smoke Eaters held a 3-1 lead but could not hang on as they fell in overtime to the West Kelowna Warriors by a 4-3 score in the season opener on Friday night at the Trail Memorial Centre. Smoke Eaters captain Braeden Tuck found the back of the net twice while newcomer Hayden Rowan scored his first BCHL goal but West Kelowna found a way to work back from a 3-1 deficit with Wyatt Head scoring halfway through overtime to give the visitors a season opening win. The Warriors were first to hit the scoresheet, coming in the first five minutes of the opening frame at the 4:23 mark as Mason Richey scored his first BCHL goal. Declan Douthart spotted Richey at the Trail blue line and the forward shot from the left face-off circle over the glove shoulder of Smoke Eaters netminder Adam Marcoux to give West Kelowna a 1-0 lead. Braeden Tuck showed why he was named Smoke Eaters captain over the course of the week as he tied the game with a shorthanded marker at the 15:07 mark to tie the game. Blake Sidoni forced the puck free in the left corner and centered for Tuck, who snapped a shot up and over the glove side of Warriors netminder Connor Hopkins to get the game even at 1-1 after the opening 20 minutes. It was a quick start to the second period for the Smoke Eaters as just 1:14 into the period, the home side got their first lead of the night, and came from a familiar name. Michael Hodge opened up a two-on-one rush in the offensive zone and passed for Tuck at the side of the goal, who tapped in his second goal of the game and gave the Smokies their first lead of the game at 2-1. The lead grew from a goal to two with Hayden Rowan collecting his first BCHL goal at the 4:08 mark of the middle stanza off a terrific passing play started by Hodge, dealing to the top of the right face-off circle for Trevor Zins, with his pass finding Rowan in front of the goal as he shot past Hopkins on the blocker side for a two-goal advantage. Discipline became an issue for the Smoke Eaters and the Warriors took advantage with a power play at the 9:34 mark of the 2nd period on a fumble from Marcoux to his defenseman and Wyatt Head splitting the play up. Head centered for Mike Hardman in the left-wing face-off circle as he shot through the legs of the Trail goaltender for his first BCHL marker and a cut the Trail to 3-2 after 40 minutes of play. 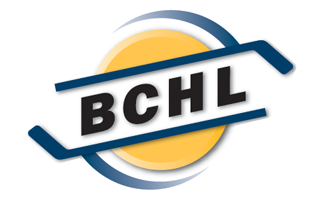 Early into the 3rd period, the Warriors got the game tied at the 1:03 mark of the 3rd period on a scramble in front of the net with the puck coming into the slot for Cody Paivarinta, who slapped a puck through traffic and collected his first BCHL marker to tie the game 3-3, where it would remain into overtime. The 3-on-3 overtime session lasted just underway halfway into the 5-minute extra period as Head found an opening down the left-wing, chipping the puck by a Trail defender and racing down the wing, shooting from the left circle over the shoulder of Marcoux to give the Warriors a 4-3 overtime victory. Adam Marcoux turned aside 31 of the 35 shots he faced in the overtime loss while Connor Hopkins earned the victory, making 31 saves on the 34 shots thrown his way in the Warriors win. The Smoke Eaters (0-0-0-1) wrap up their season opening home-and-home set against the West Kelowna Warriors (1-0-0-0) on Saturday night at Royal LePage Place. 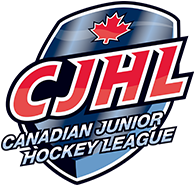 Puck drop is set for 7:00 PM with the game being broadcasted on mixlr.com/trail-smoke-eaters as well as HockeyTV.com with the Voice of the Smoke Eaters, Trevor Miller.